In the next few months, anyone will be able to buy stock in Slack Technologies Inc. In the meantime, wealthy investors are paying big premiums to snap up shares of the workplace software maker on private markets. Investors are buying stock in some cases for more than double the price of Slack’s last fundraising round in August, which valued the company at US$7.1 billion, said people familiar with the transactions. Shareholders have sold stock to private buyers in the last two months at prices as high as US$25 or US$26 a share, which implies a company valuation of about US$16 billion, said two of the people, who asked not to be identified because the details are private. A third person said deals were discussed at a price range of US$24 to US$27 a share. The San Francisco-based company, which sells chat and collaboration tools to businesses, is planning to directly list its shares on the New York Stock Exchange in June or July, instead of raising capital through an initial public offering. Recent activity in the private markets indicate soaring expectations for Slack, despite claims that the company is overvalued compared with other subscription software businesses. A spokeswoman for Slack declined to comment. 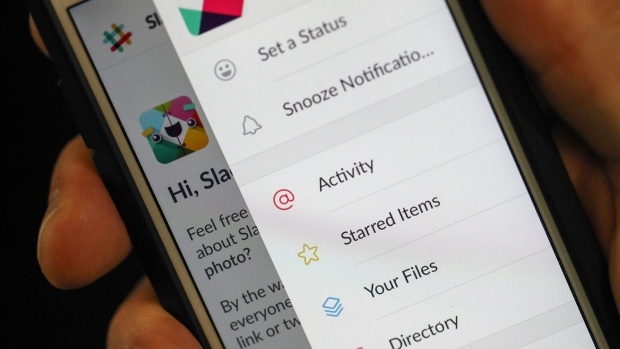 Slack is one of several highly anticipated public offerings from Silicon Valley this year. Questions remain about whether all the hype will lead to sustained demand from Wall Street or public market investors. Ride-hailing company Lyft Inc. had the biggest IPO in two years, but its stock fell below the listing price on the second day of trading and has yet to recover. Pinterest Inc., which makes a popular digital pin board, set an initial range for its public shares that was below the company’s last private-market valuation. As a private company, Slack has never seemed to struggle to raise money. The company took in more than US$1.25 billion since releasing its product in 2013. Slack allowed shareholders to sell some of their stake to SoftBank Group Corp. in 2017, when the Japanese conglomerate invested US$250 million, but has otherwise been cautious about private sales. The recent string of private stock transactions in Slack is part of a company strategy to test what public investors might be willing to pay, a person familiar with the matter said. Music streaming provider Spotify Technology SA, which went public in a similar fashion to Slack last year, also allowed private share sales ahead of its direct listing. Spotify is up 7 per cent from its first trade a year ago.